Off cul-de-sac. 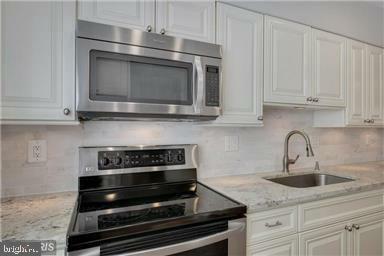 3 finished levels, open concept, gorgeous kitchen w/granite, porcelain backs plash & stnlss appls. 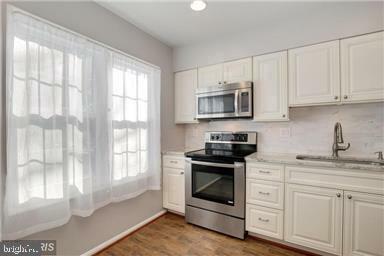 Remodeled in 2014 w/70K+ in improvements. 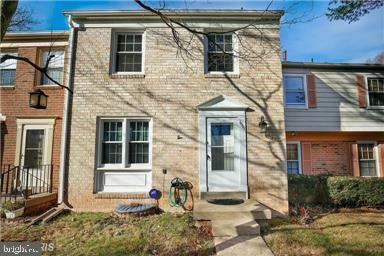 Walkout lower level w/wet bar, full bath & bonus room. Fenced rear w/views of adjacent wooded lot. 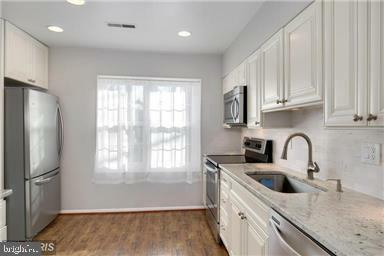 Community grounds, amenities,overnight street & guest parking. Min. to 495, 395, schools & shopping! Bus stop to Tyson & Metro.New paint.